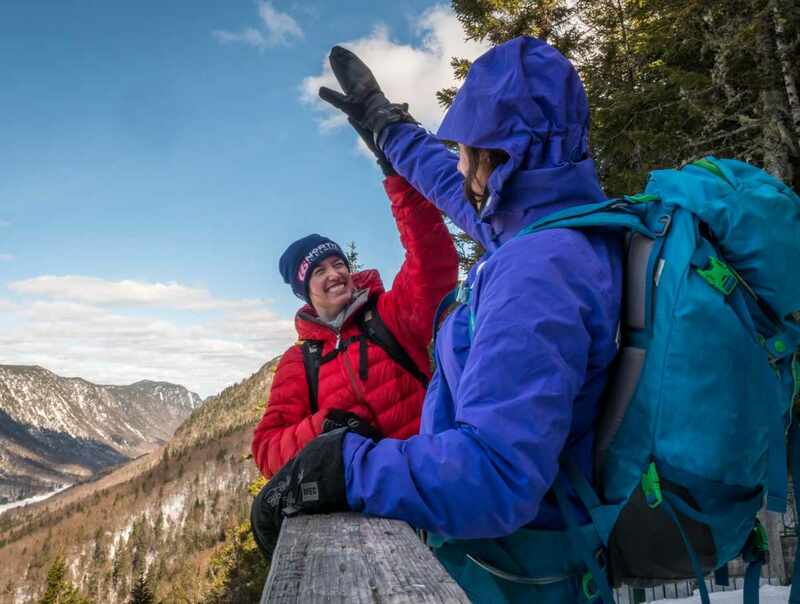 The park has a network of 11 snowshoeing trails stretching out over 78.7 km (48.9 miles). If you want to have a snack or warm up, stop by any of the four heated way stations or the Discovery and Visitors' Centre. Snowshoes, hiking sticks and foot claws and fatbikes may be rented at the park. Nordic skiing may be practised here.